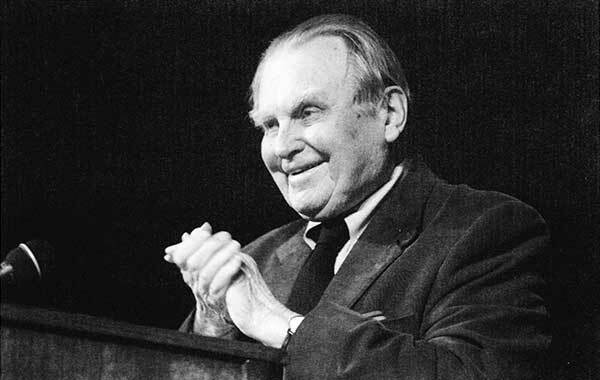 Czesław Miłosz (b. Szetejnie 1911) was regarded by The Nobel Foundation as someone “who with uncompromising clear-sightedness voices man’s exposed condition in a world of severe conflicts.” He received the Nobel Prize in 1980. Miłosz was active in the work of Organizacja Socjalistyczno-Niepodległościowa “Wolność” (“The ‘Freedom’ Socialist Pro-Independence Organisation”) during the Nazi occupation of Poland. He received the medal of the Righteous Among the Nations in 1989. Miłosz’s first poems were published in Alma Mater Vilnenis, a university magazine, in 1930. He earned his Master of Law degree in 1934. Though his work was banned in Poland until after he won the Nobel Prize, he has written virtually all of his poems in his native Polish. He has also translated the works of other Polish writers into English, and has co-translated his own works. He also has translated parts of the Bible into Polish as well as works by John Milton, William Shakespeare, and Walt Whitman. 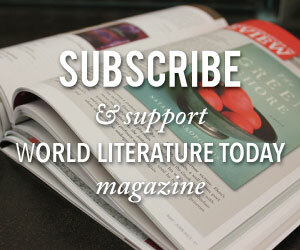 “Today, Milosz is a major figure on the international literary map. He resides half of each year in Cracow, Poland, and the other half in Berkeley, California, his domicile since 1960. [More than 30] years after his Nobel award, there is not a single topic concerning his literary and/or philosophic writings that has not been examined, retold in interviews, analyzed in Master’s theses and doctoral dissertations, or illustrated with photographs, maps, and indexes” (for more, see Anna Frajlich’s article in WLT, Vol. 73.4).